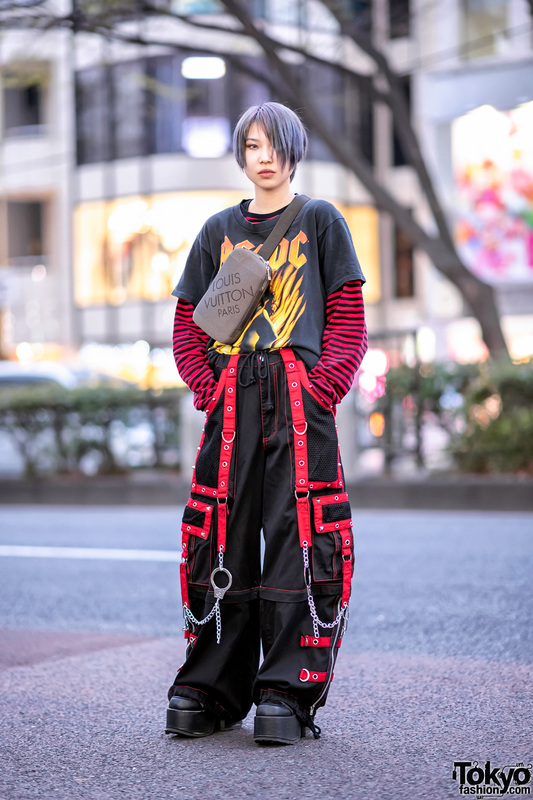 Cocomi is a Japanese fashion blogger and staffer at the LaForet Harajuku boutique Vlli Vlli. We often run into her on the street in Harajuku. 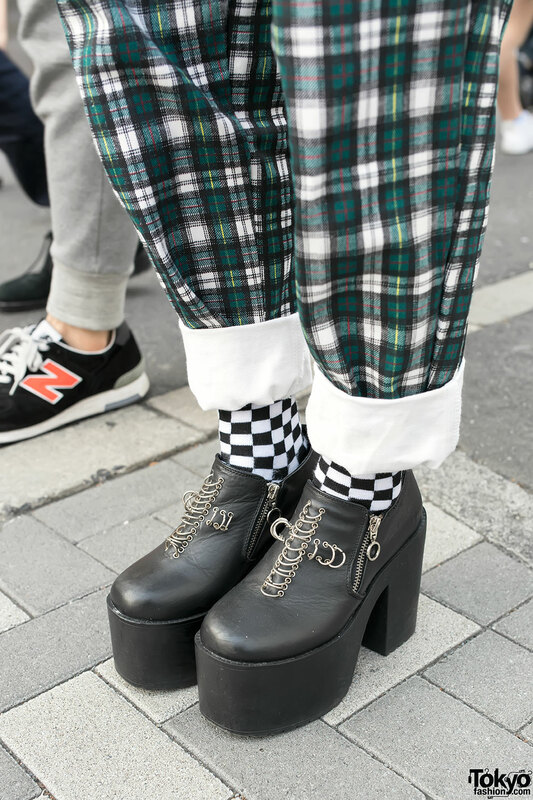 In addition to her cute pink double buns hairstyle, Cocomi is wearing a Bad Acid t-shirt with striped suspenders, plaid pants from the Harajuku resale shop SANKAKU, checkered socks, and Unif platform booties. 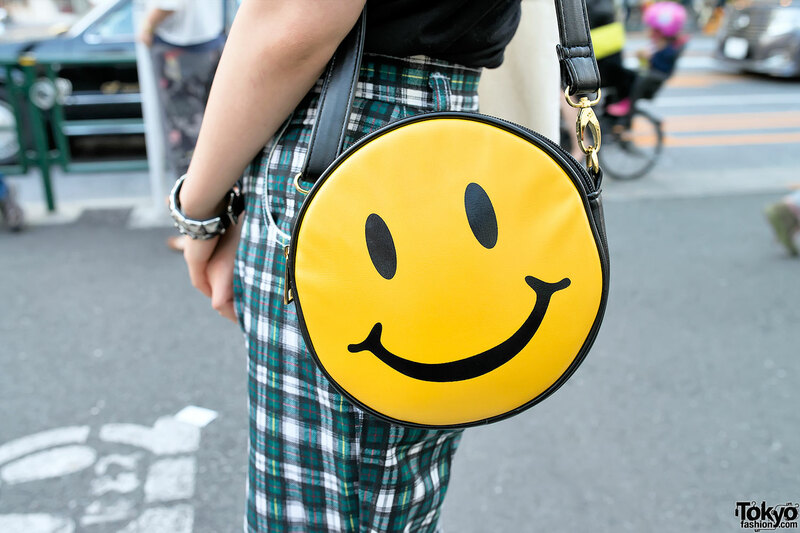 Accessories include a smiley face bag from Bubbles Harajuku, a Daniel Johnston tote bag from Kinsella Harajuku, studded bracelets from HellcatPunks, and several temporary tattoos. Cocomi’s favorite shops include SANKAKU, Avantgarde Harajuku, and “more, more more”. She likes the music of Linkin Park, Limp Bizkit, and Boom Boom Satellites. For more info, find Cocomi on Twitter or Instagram. 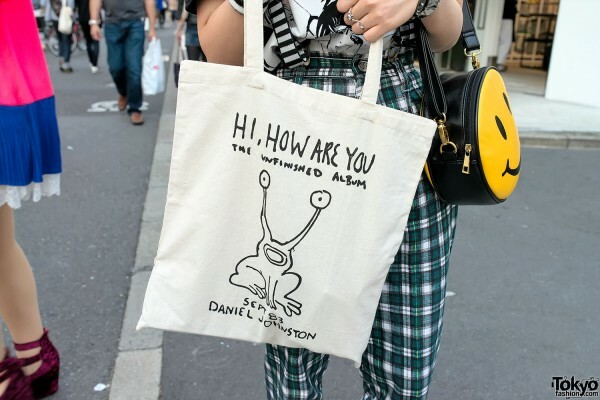 The Daniel Johnston tote tho! Listened to the record real briefly once, quite the experience but his artwork is something to! She’s a dream. Sassy smile. Very cool and cute!